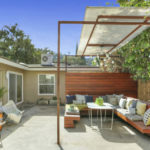 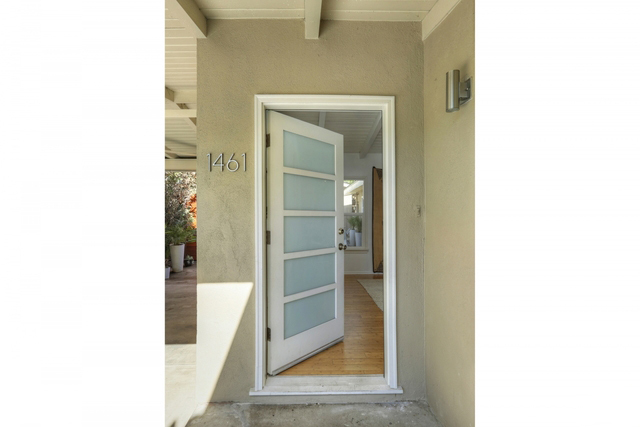 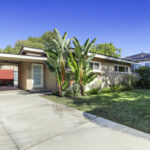 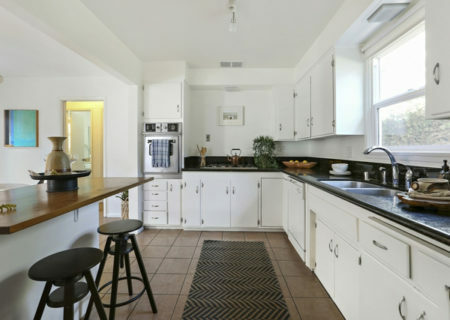 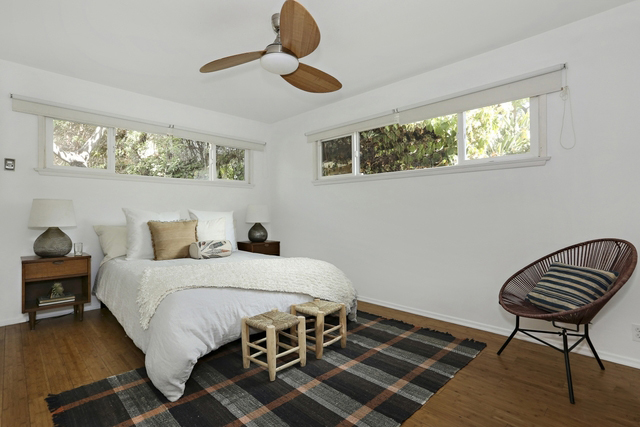 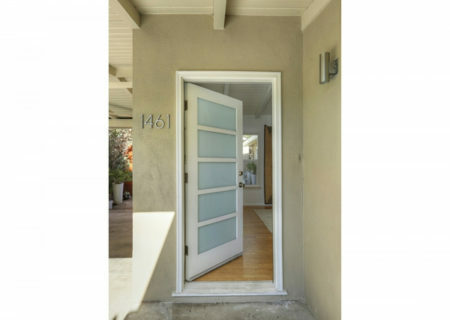 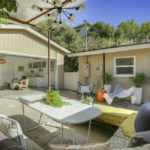 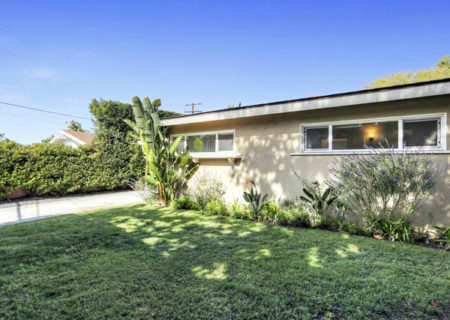 Sold: 1461 Yosemite Drive 90041, Eagle Rock Enchanting Mid-Century Home! 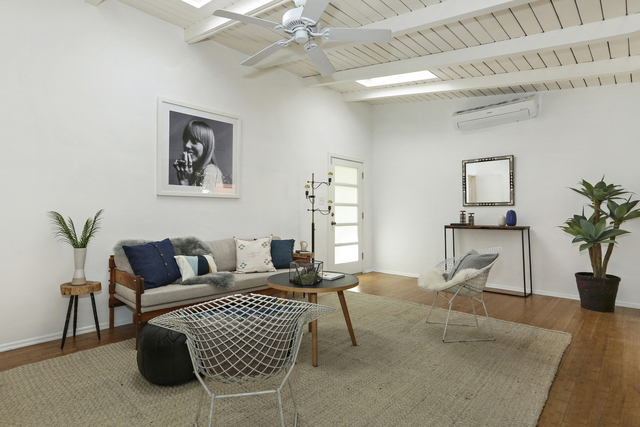 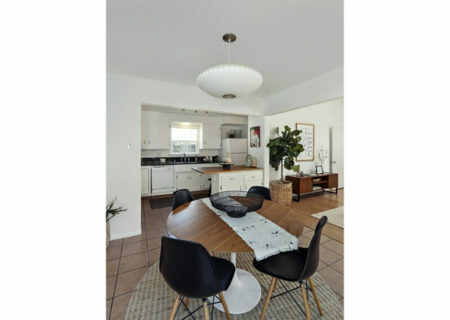 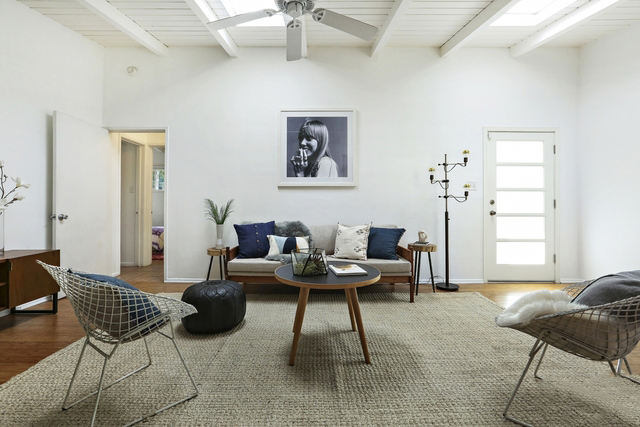 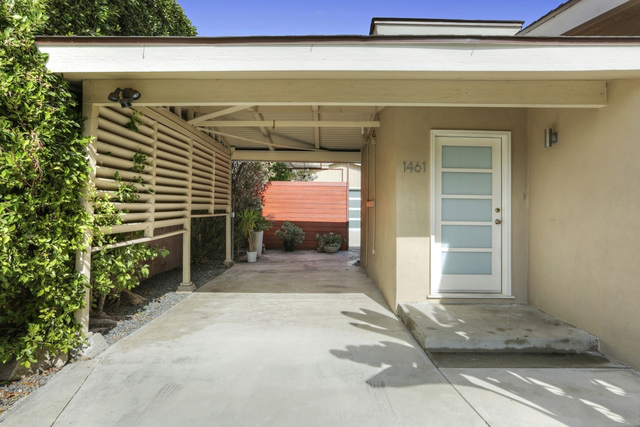 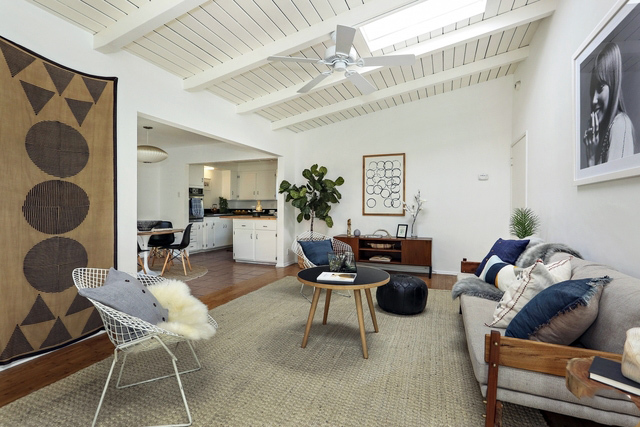 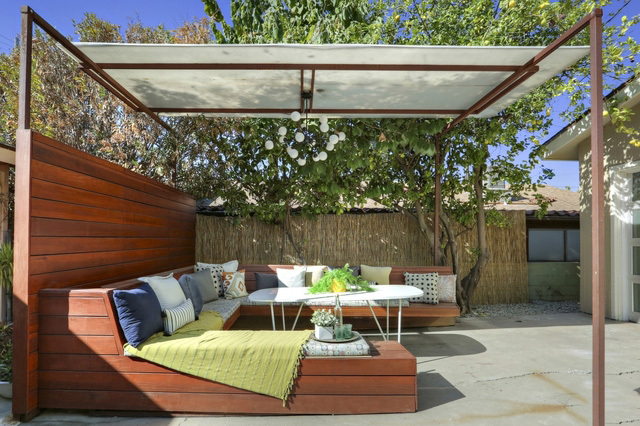 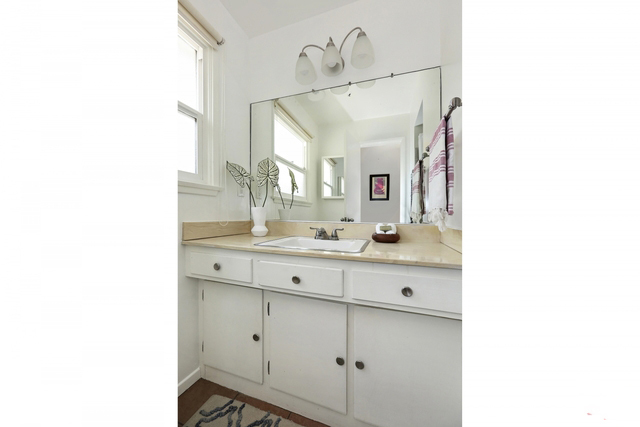 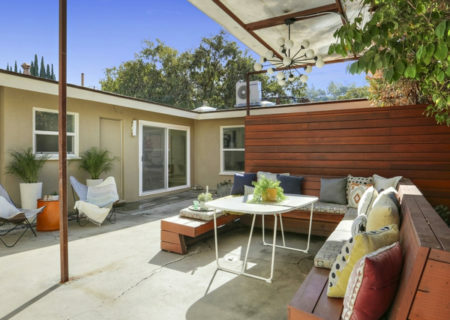 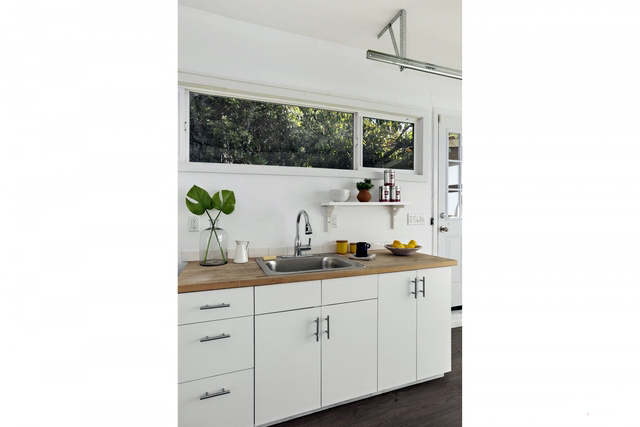 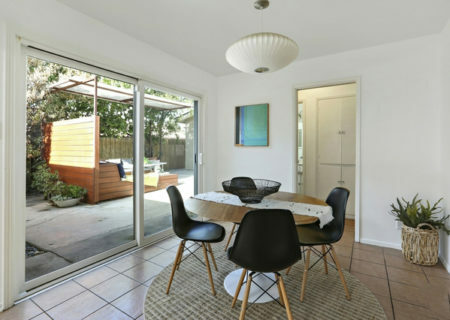 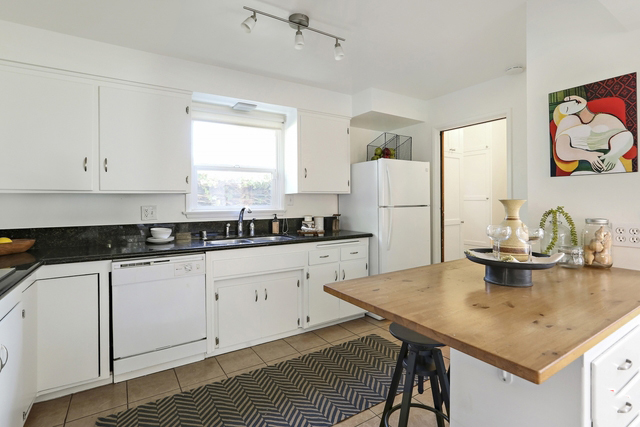 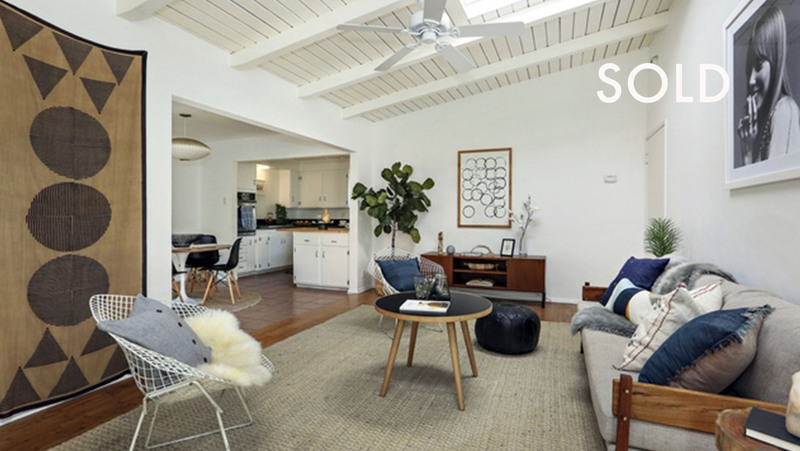 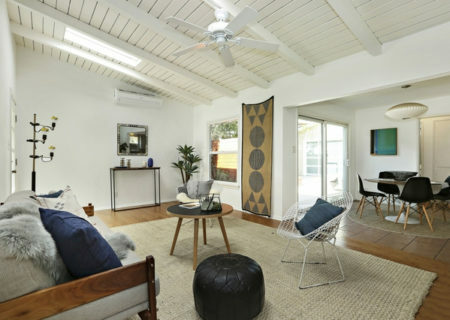 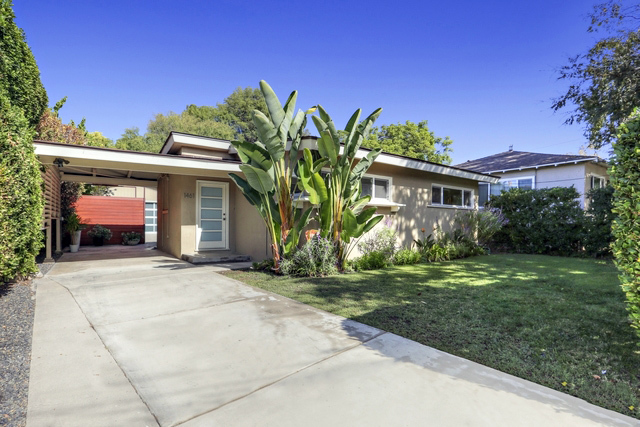 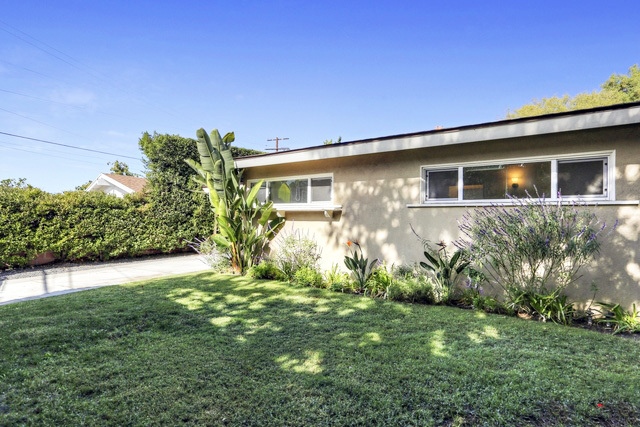 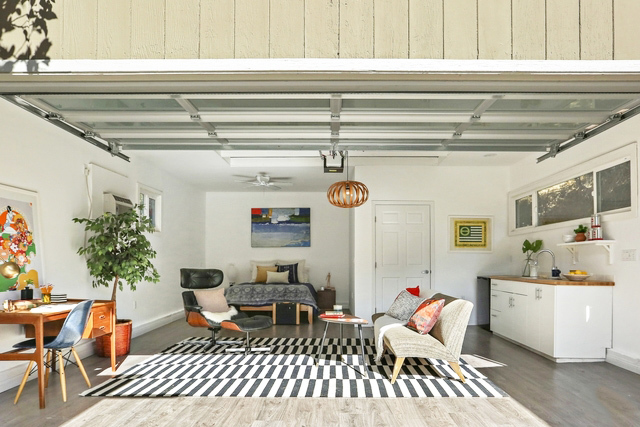 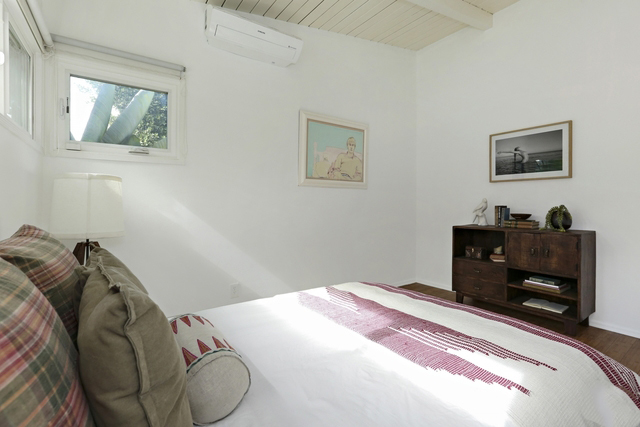 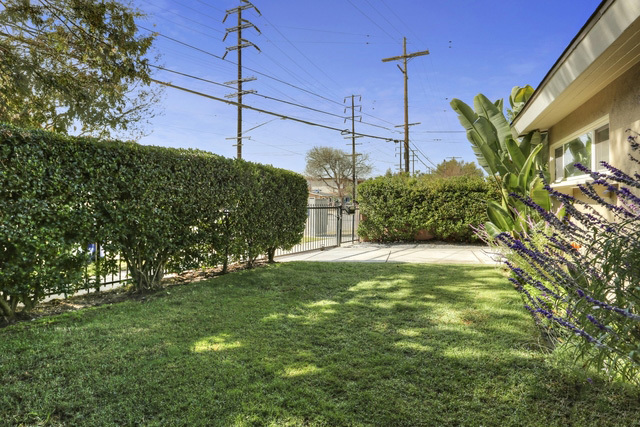 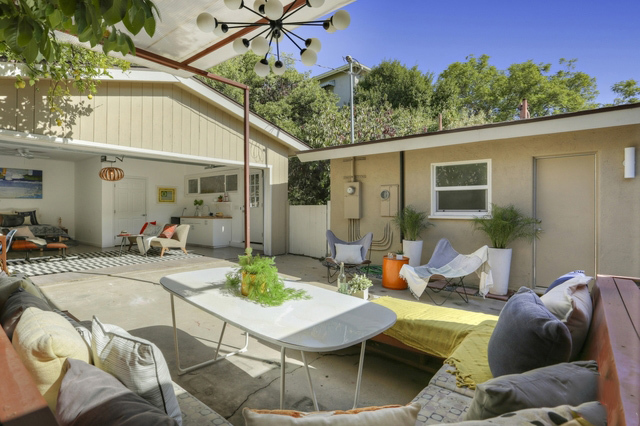 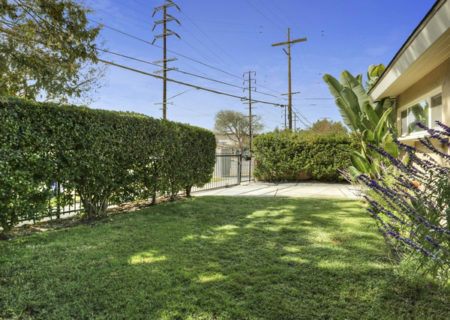 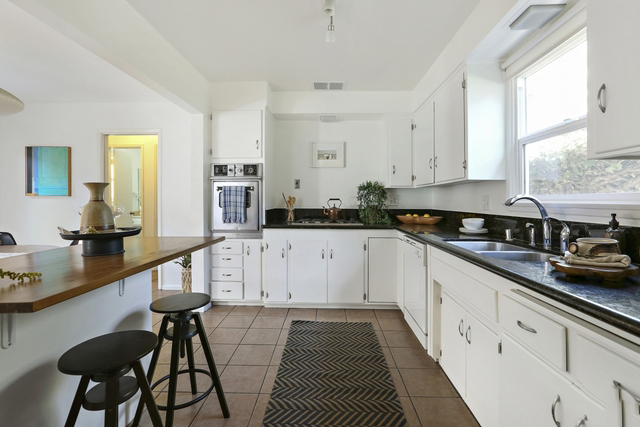 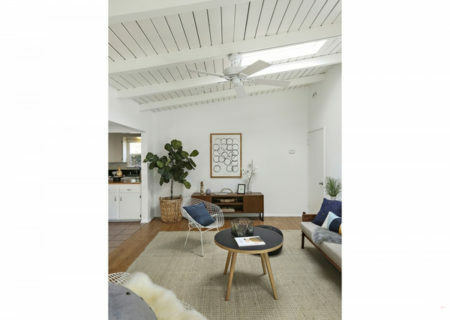 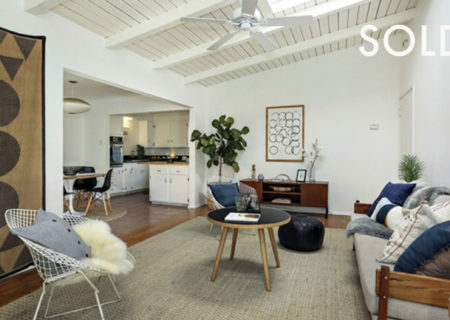 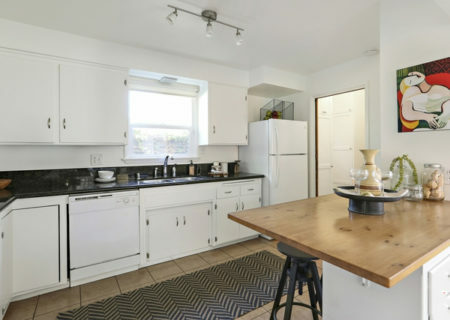 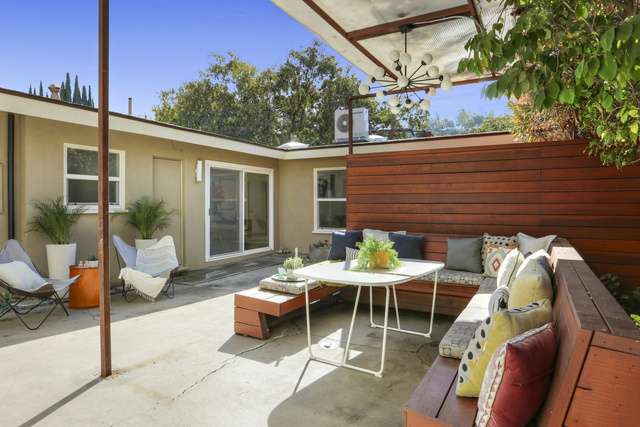 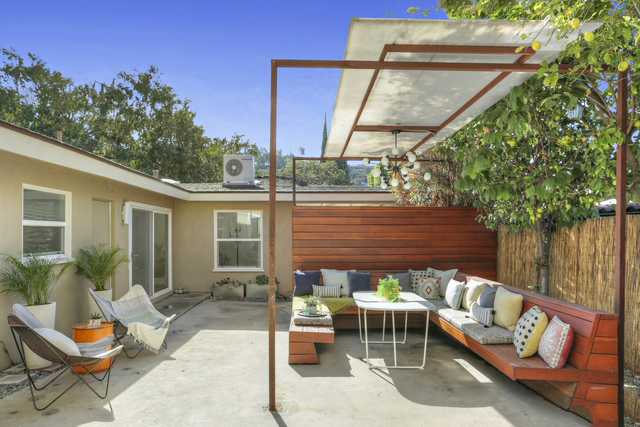 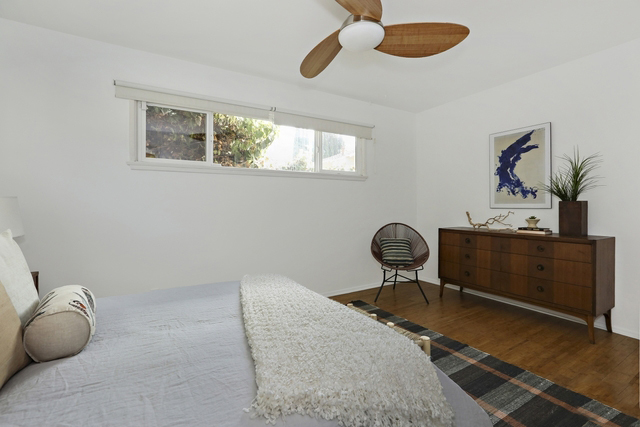 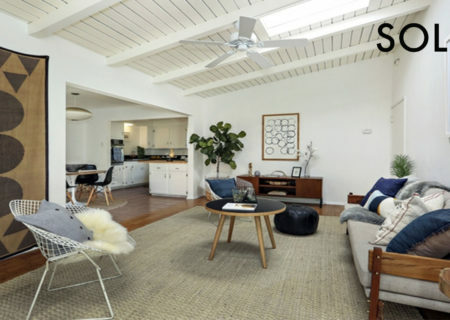 Bright, open plan mid-century in the heart of Eagle Rock on a street-to-street LAR2 lot. 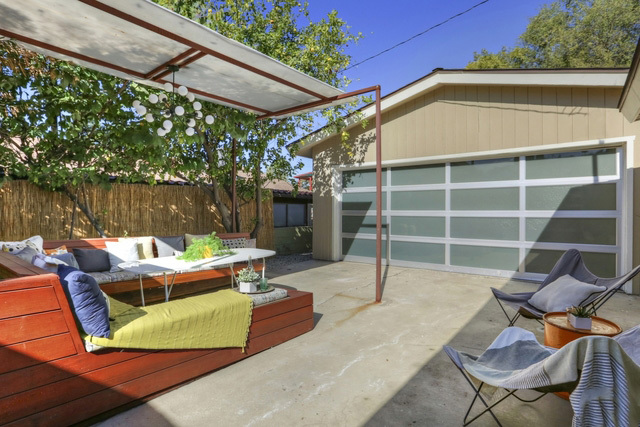 The house is set back from Yosemite w/ a large front yard & is hedged & gated for privacy. 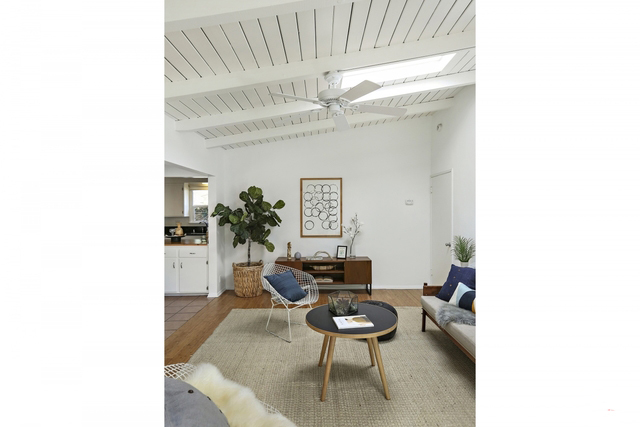 Vaulted post-and-beam ceilings, skylights & new double-glaze windows define a modern space w/ terrific layout. 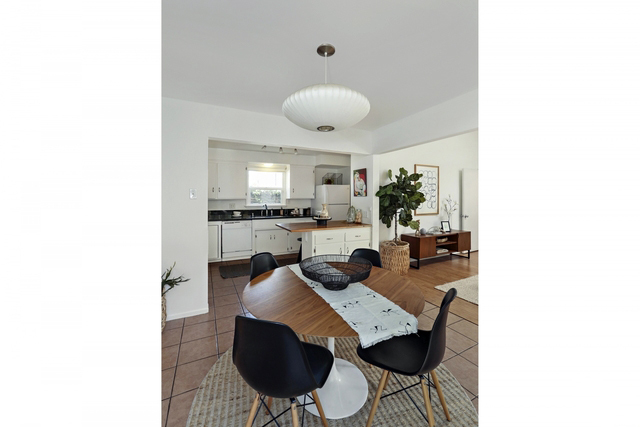 The main living space flows from the spacious living room to dining & a kitchen w/ tons of counter space & a breakfast bar. 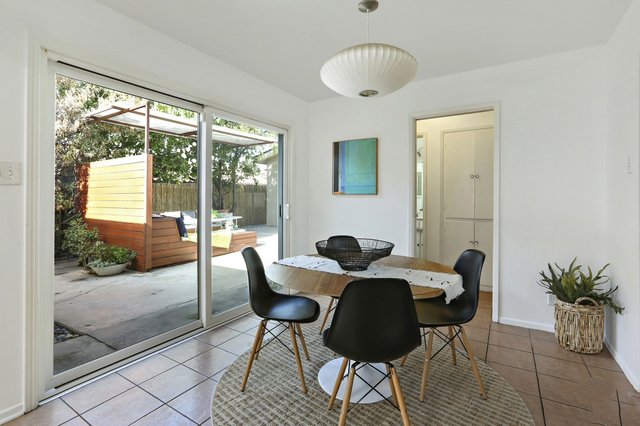 Sliding doors lead from here to the outdoor patio. 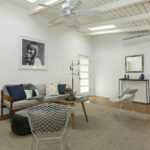 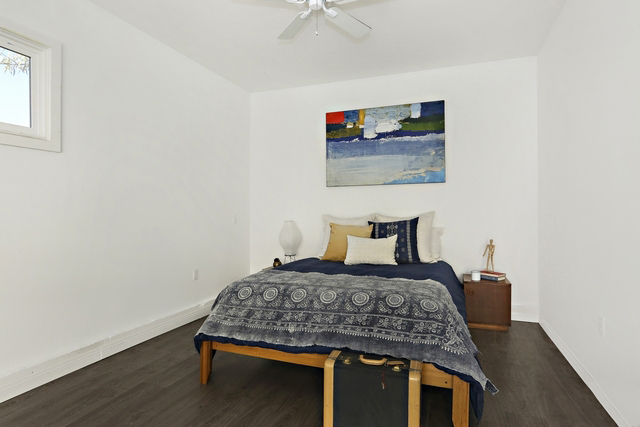 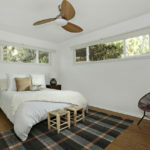 You’ll also find bamboo flooring, newer mini-split HVAC units & a refurbished laundry rm w/ lots of storage. 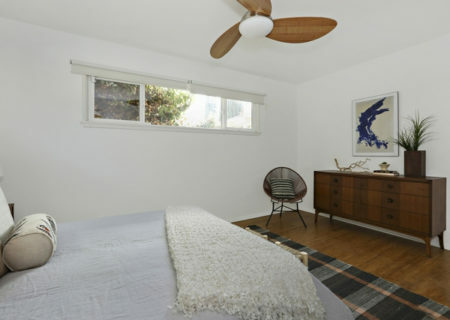 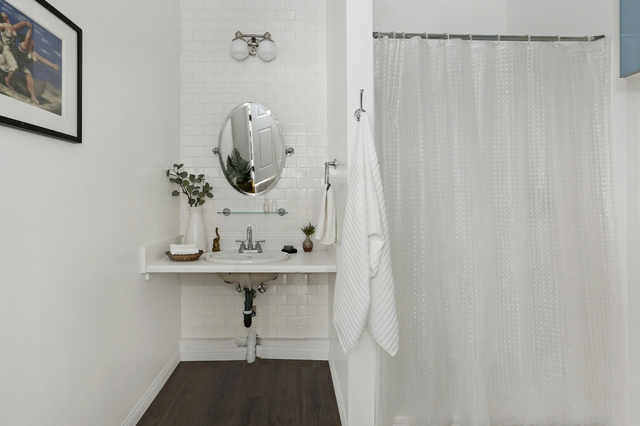 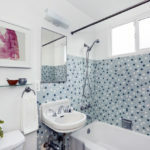 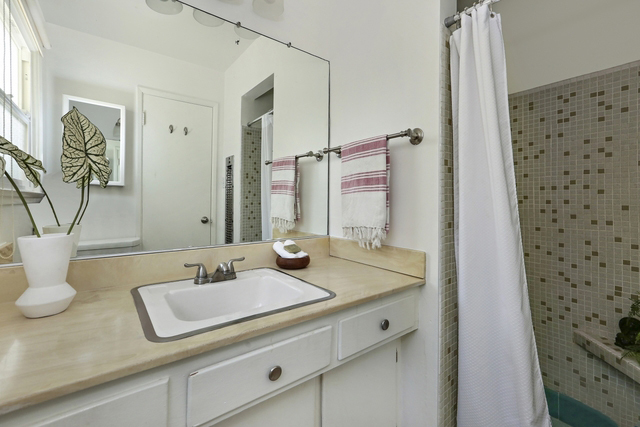 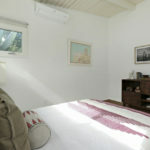 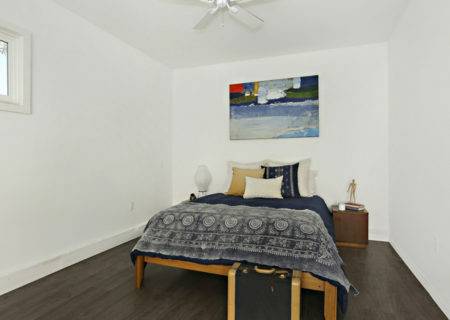 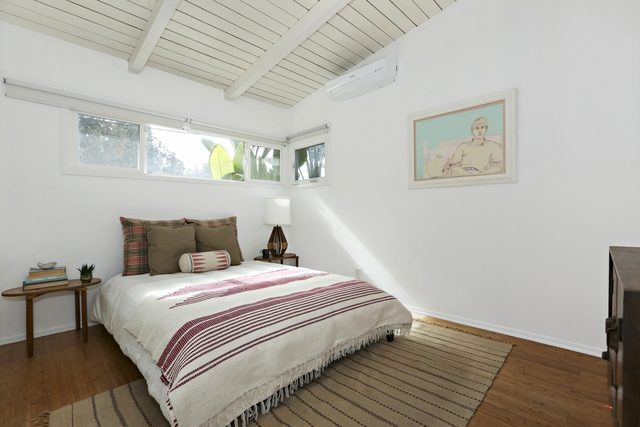 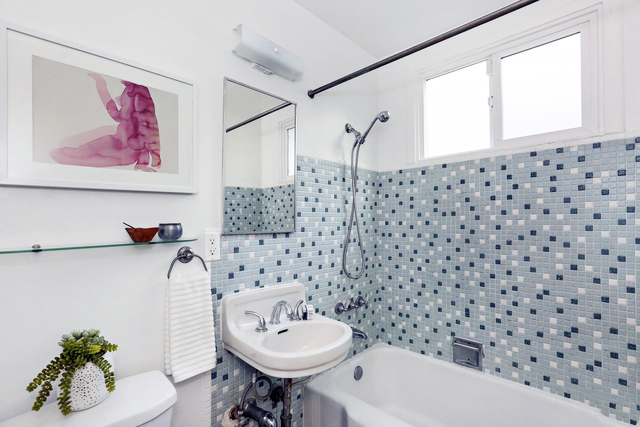 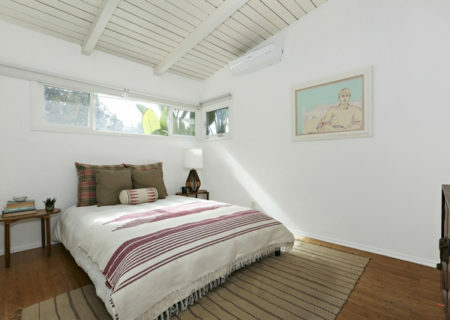 The large master bedroom suite has a private bath w/ original retro tiling & a big walk-in closet. 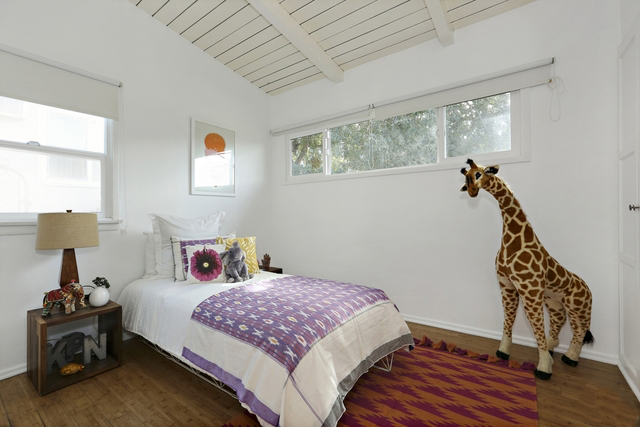 Two guest bedrooms share a bath on the other side of the house. 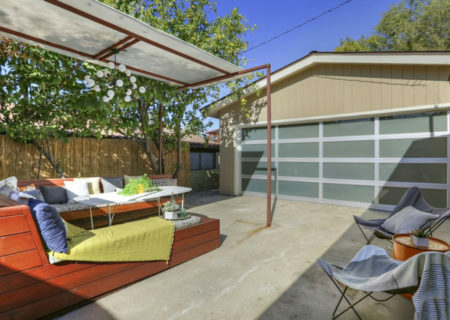 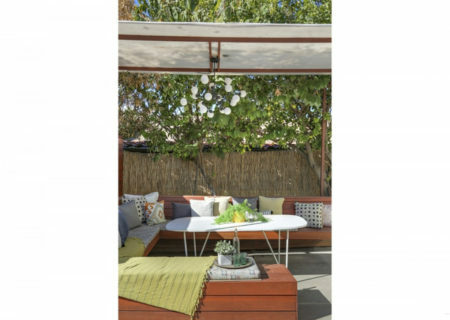 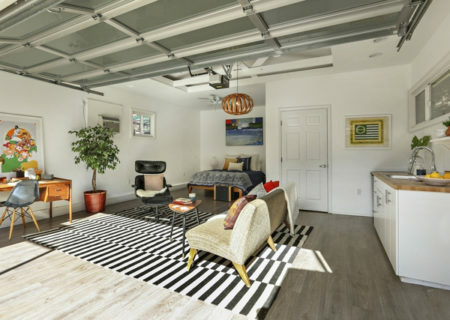 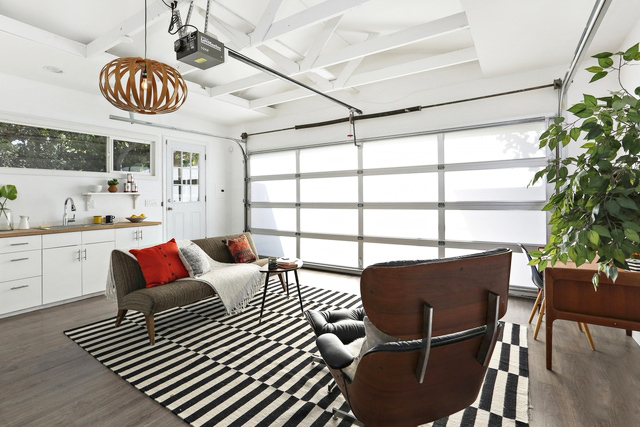 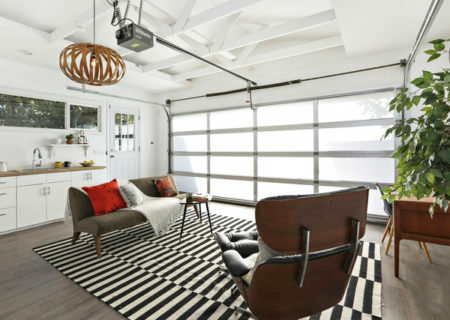 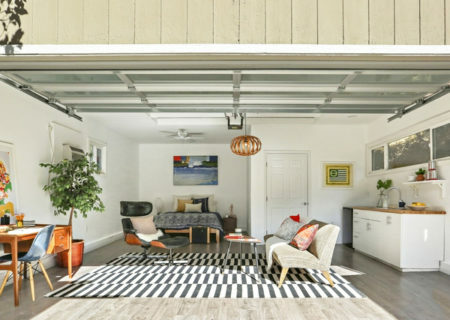 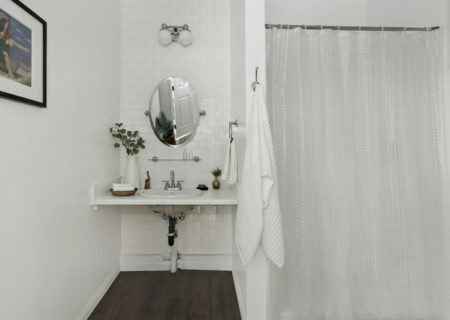 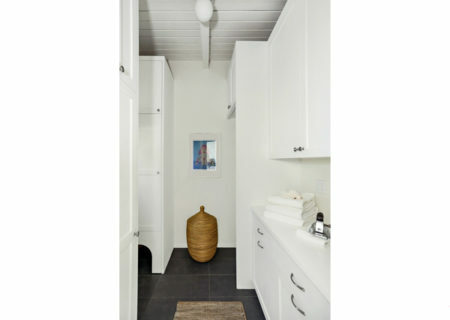 The home was featured on HGTV, who made over the patio, added built-in outdoor dining & re-purposed the garage as a chic bonus studio w/ bath – perfect for guests or office. 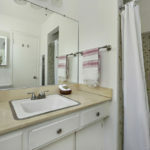 Additional upgrades inc. tankless water heater, copper plumbing, newer electrical panel.